On our test drive of the 2018 Honda Odyssey we are reminded that minivans are a fickle corner of the automotive market. They serve a needed purpose, but they face an image problem in the mass market because they just aren’t cool enough for some. Many buyers are more worried about the imagery and message a minivan sends to friends and peers than the reality in their hearts that they make more sense in terms of value, capability, handling, and even efficiency than mid-size and full-size SUVs. 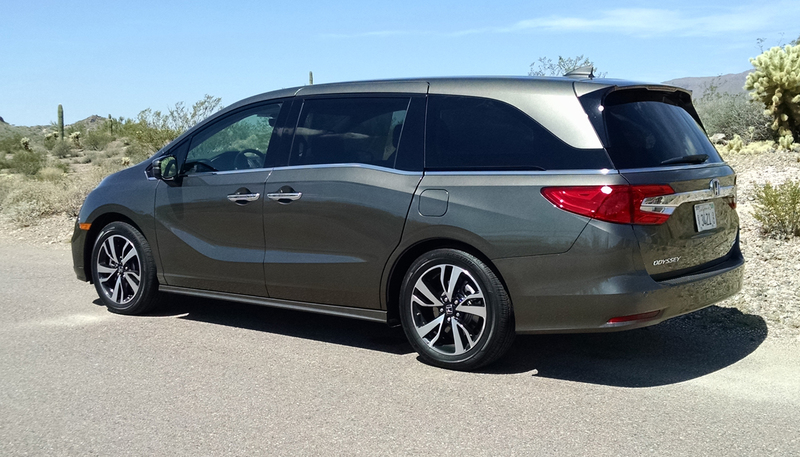 Thus, when manufacturers design their newest minivans they have a tough challenge. Younger and more image conscious buyers wont buy them. More mature minded and seasoned buyers will however if given enough cool factor, feature content, and value to win them over. 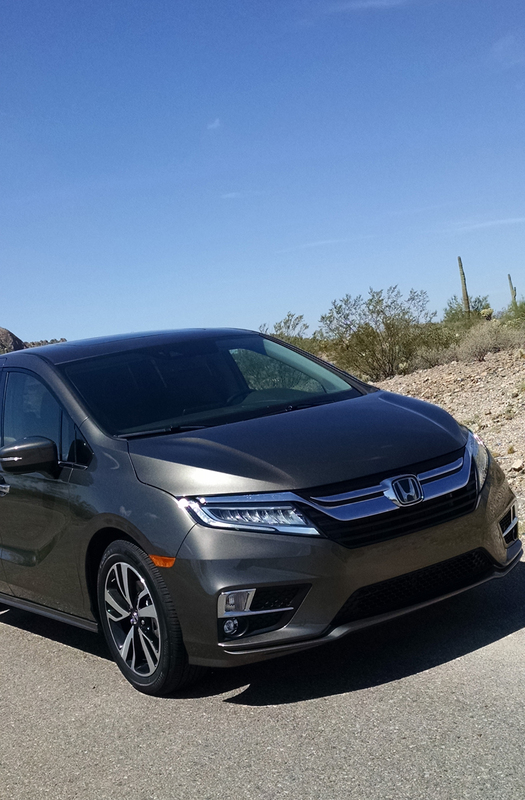 This shift has pushed minivans upmarket in terms of price and equipment. 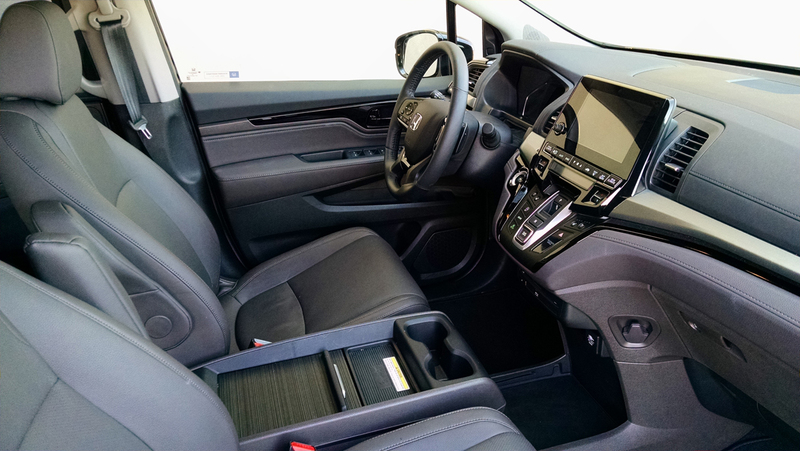 Enter the 2018 Honda Odyssey. 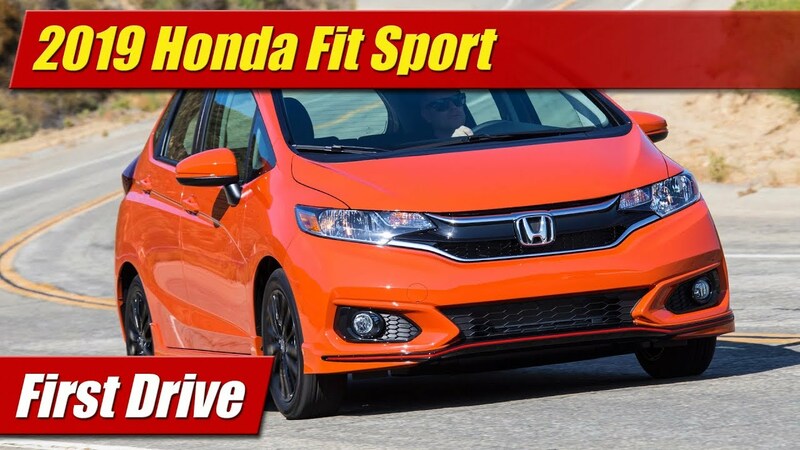 It unapologetically takes high aim pricing and design savvy as Honda knows that’s where their more matured minivan buyers reside. They have the money and the wisdom to not care really what people think. They know good bones when they see them, and frankly they expect it. 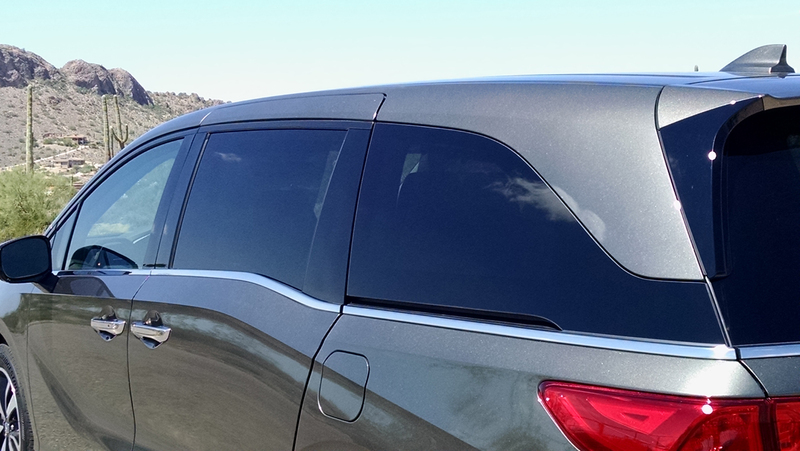 The redesigned Odyssey has been fortified with improvement over its predecessor. More horsepower and efficiency comes from a revised 3.5 liter V6 engine. A better and more enjoyable 10-speed transmission is available. 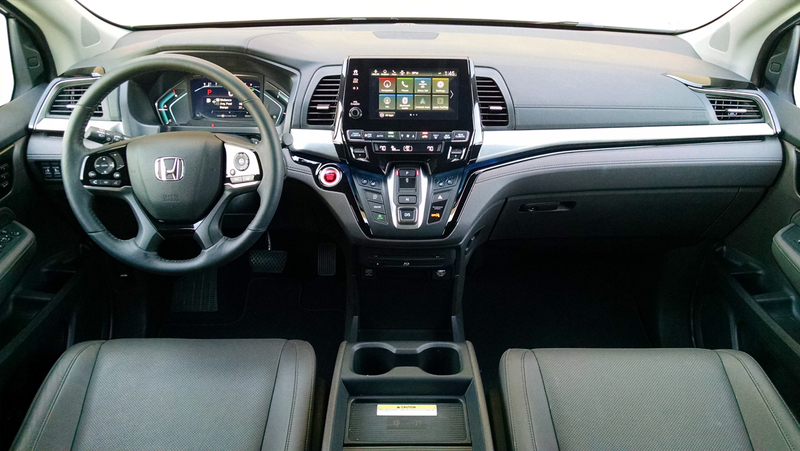 And inside, more technological features than ever aim to keep the Odyssey at the top of the heap. Design on the outside is evolutionary, still marching to the beat of its own vibe. 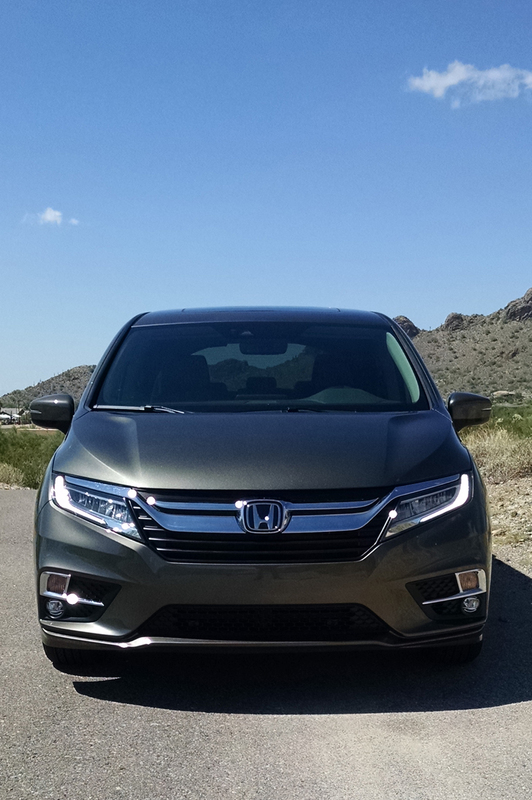 It’s much more refined and artful now, carrying the latest Honda winged grille design language in its facial features. On our Elite tester were LED headlamps, LED fog lamps and premium 19-inch wheels. While the now trademark bevel in its window line down the side remains, the door slide track has been moved up into the black of its window area so its all but invisible, freeing up space for some artful creases over the rear wheels. Power side doors and rear hatch make life easy getting in and out as before, the hatch now operable with a wave of your foot under the rear bumper. 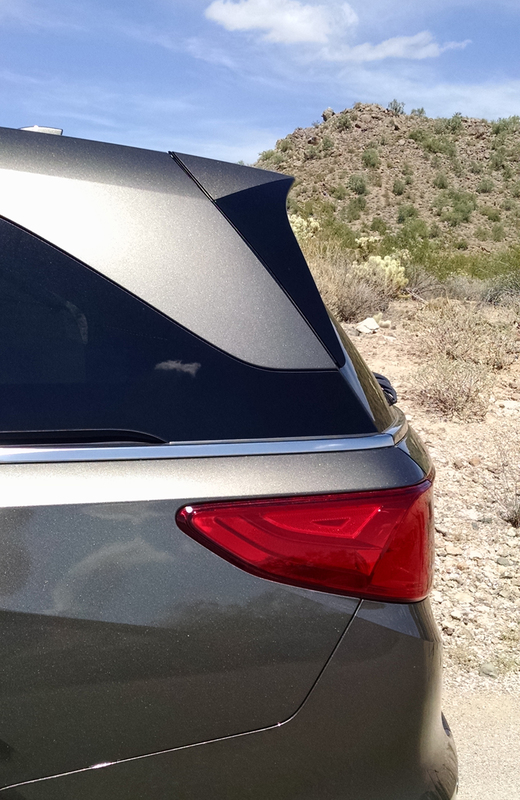 LED tail lights joined by a sweeping chrome bar tie together the new look at the rear. 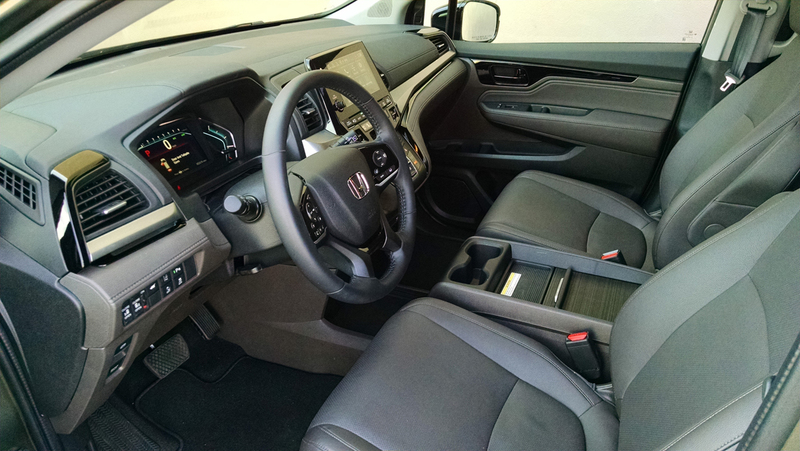 Inside you will find an all-new dash and interior design that has much of what you come to Honda for. These include high quality materials, tactile and intelligently executed switchgear, and comfortable seating no matter where you find yourself. 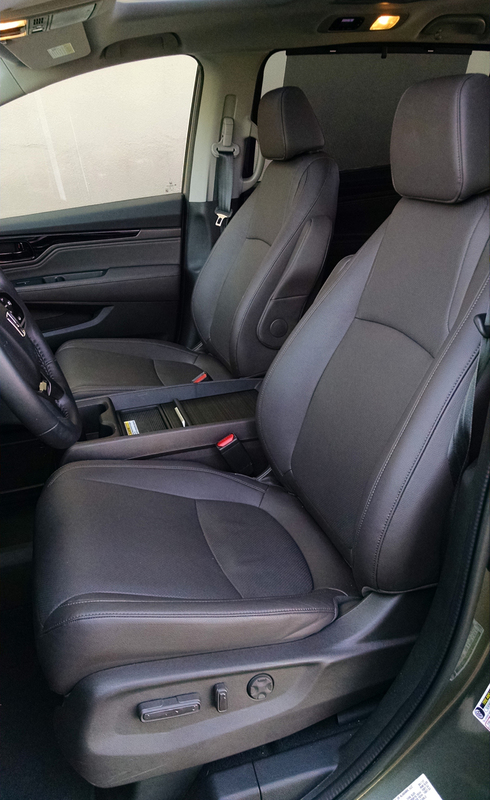 The front seats here were both heated and ventilated, exceptionally comfortable for long days behind the wheel and had a wide range of adjustment. 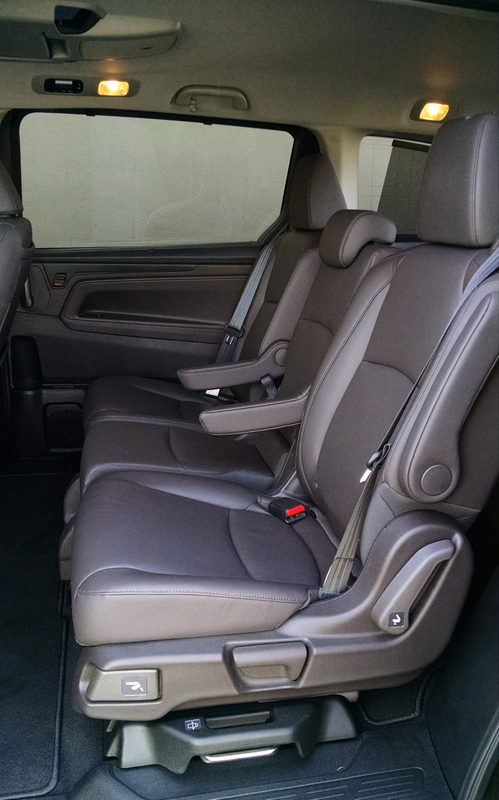 The seating position for the driver is typical of minivans, exuding space and outward vision with exception of the hood itself. 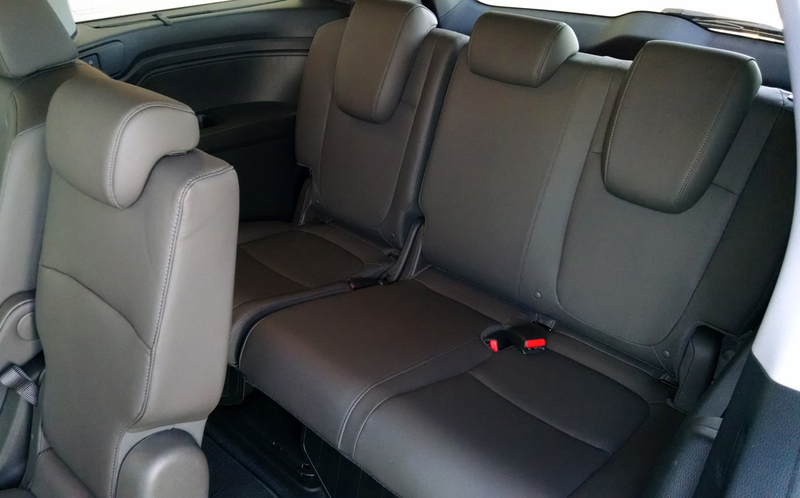 Second row passengers enjoy comfort as well with up to three across seating. Here we have captain’s chairs with a removable center seat and armrest combo. When removed the captain’s chairs slide from side to side infinitely for positioning, a feature called Magic Slide. If you want them completely out of your way, they are removable. The third row as you would expect offers much space to even accommodate adults comfortably, unlike some of those three-row SUVs. Like the second row passengers enjoy, there is three across seating, air vents, power ports, sun shades and audio jacks. That gets us to all the creature comforts. 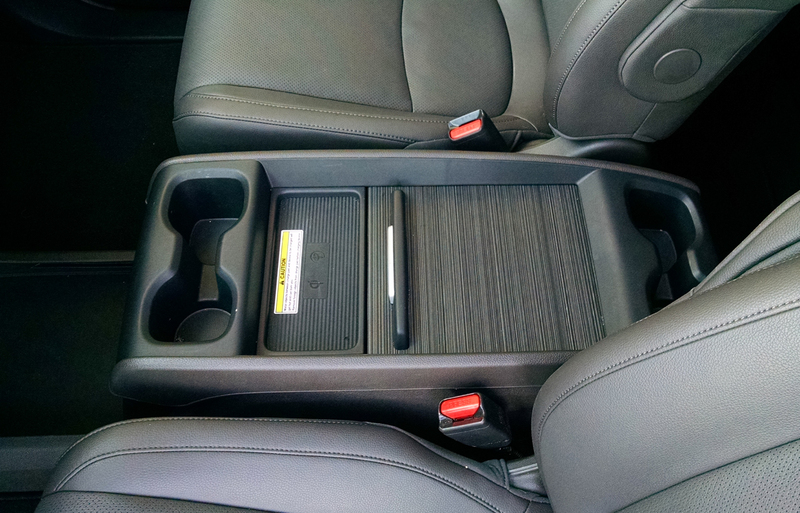 A rear seat entertainment system has wireless headphones in addition to those third row jacks. There is Blue Ray and DVD capability, an HDMI port to plug in your own source, and wireless streaming via the 4G LTE hotspot for online media. How about all that? You can also download a handy app for mom or mother-in-law to control all of these toys from a smart phone in the event micro-managed control over the kid’s choices is a needed element. There is also the cabin watch system which displays the back of the bus on the dash center screen for ultimate accountability. 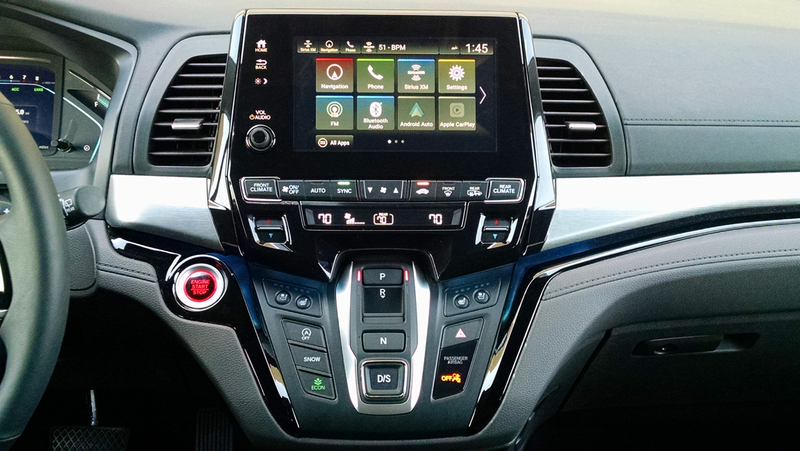 That infotainment system boasts a crisp and clear touchscreen with excellent audio and navigation capabilities. 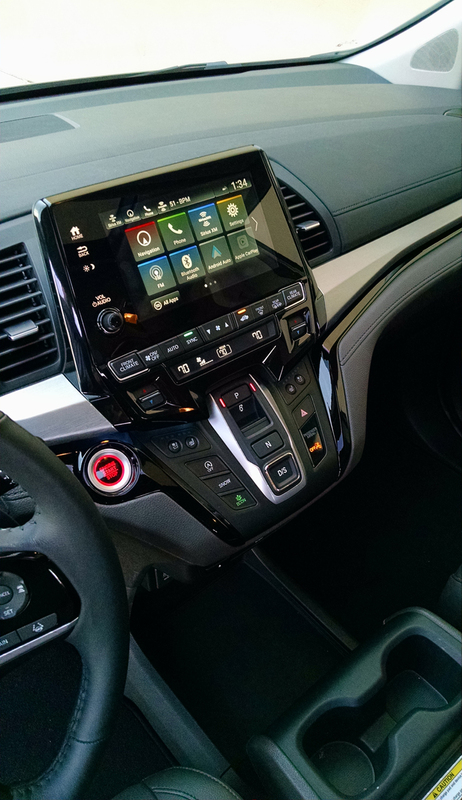 Improved menus and graphics make life working with it behind the wheel easier than before, and the addition of a volume knob contributes, yes…volumes to that end. There is Android Auto and Apple CarPlay functionality as well as a host of other service based features that now make it one of the best systems out there. 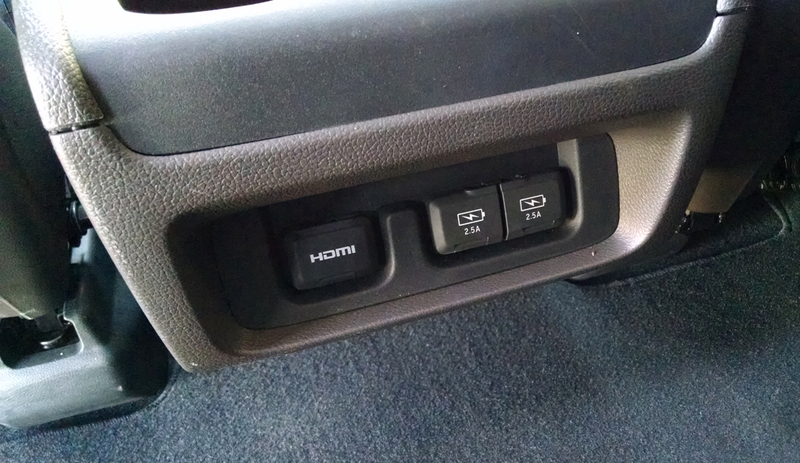 A tuning knob would also be welcome however as would some kind of shrouded placement to reduce glare in some sunlight. 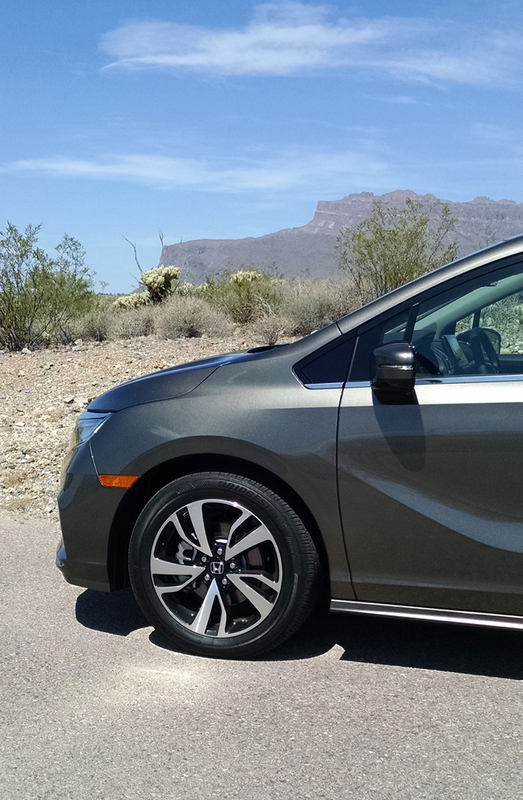 Driving the Odyssey is much the same as in the last generation as this is merely an evolution of it. There are however improvements made from a revised suspension that not only free up space in the third row but sharpen handling refinement. The new 10-speed automatic transmission coming in the Touring and Elite is the big news here, delivering an entirely new experience compared to the 9-speed automatic found in the lower end of the trim grade line. A first in a minivan, the new 10-speed is meant to help save fuel and offer better performance with its wider swath of ratios. It’s more refined, it doesn’t clunk and act unpredictably. 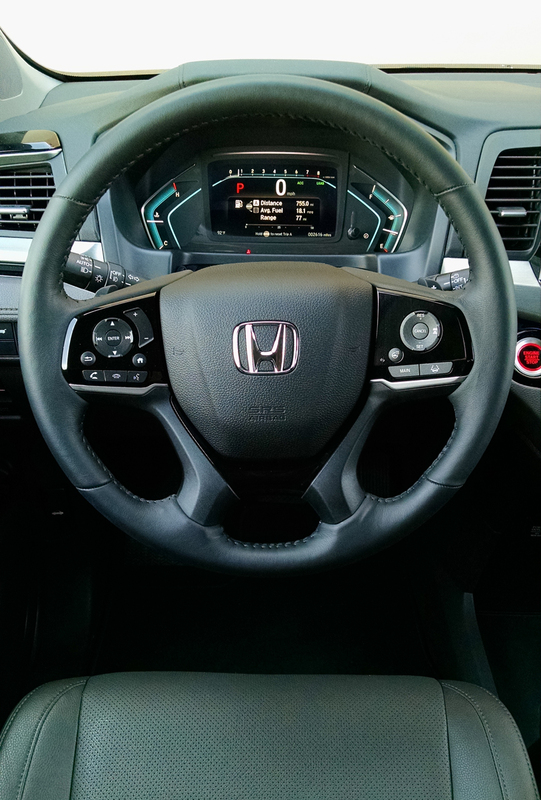 It shifts smooth and unobtrusively and there are paddle shifters to give you some driving spirit when you want it. 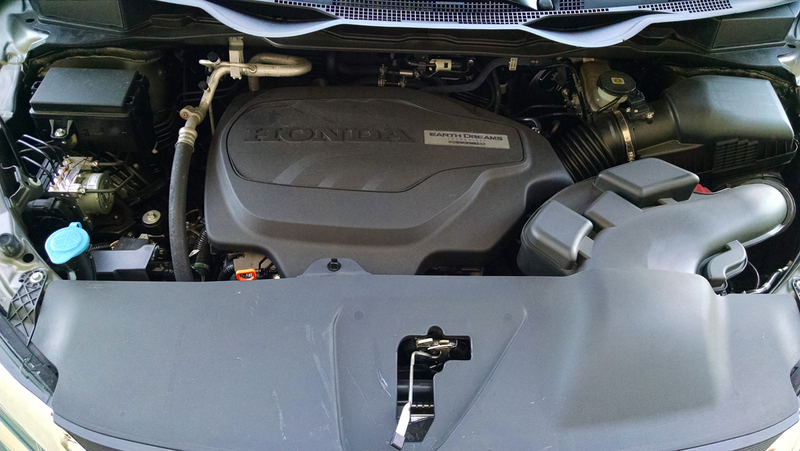 Power is increased substantially, now at 280 ponies and 262 pound-feet of torque by way of its new-found direct fuel injection. As before it has cylinder shut-off capability so it can run on only four cylinders when under low load. 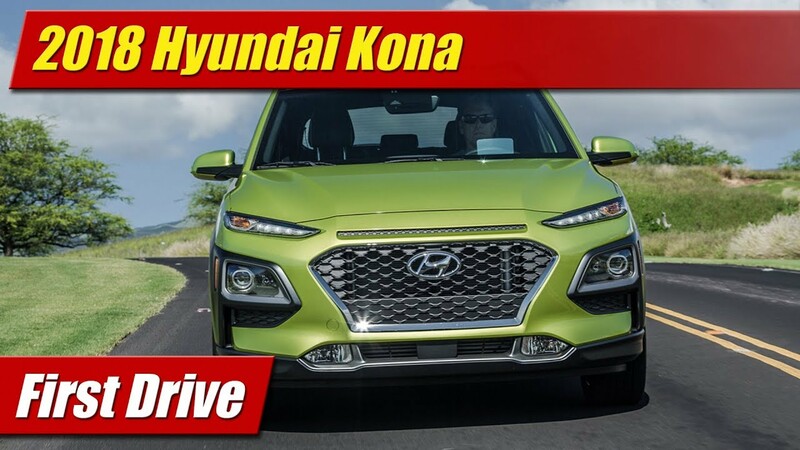 The enhanced engine is more refined, it has indeed more power and among its peers remains one of the more enjoyable powertrains to command whether around town or out on long highway drives. It’s rated at 19 mpg city, 28 mpg highway and 22 mpg combined. In our week with it however we only achieved 18 mpg combined but we point out the air-conditioner was on at all times. 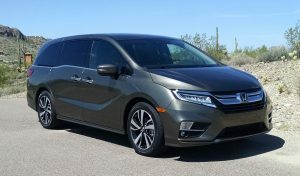 Priced at $47,610 we came away with the feeling that the Honda Odyssey will likely retain its perceived and earned spot at the top of the minivan food chain. While pricey, and one you will likely not see huge discounts on like some competitors, it has quality, engineering and value many of them don’t offer.